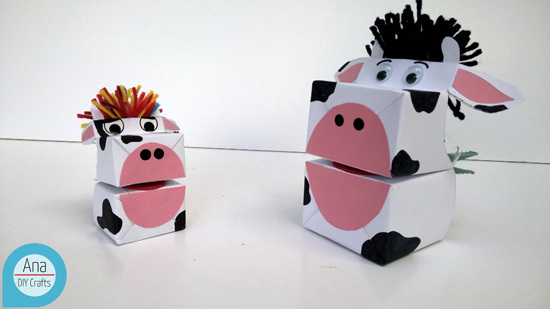 In this post I show you how to make a Tetra pak puppet. 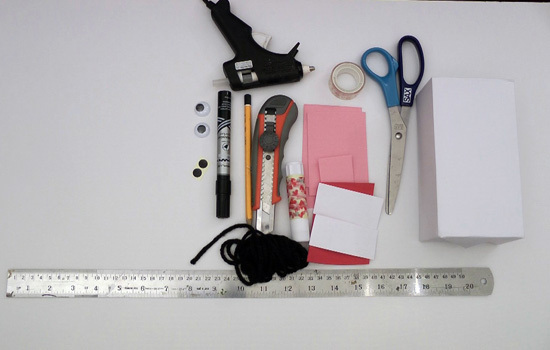 Recycling crafts ideas. 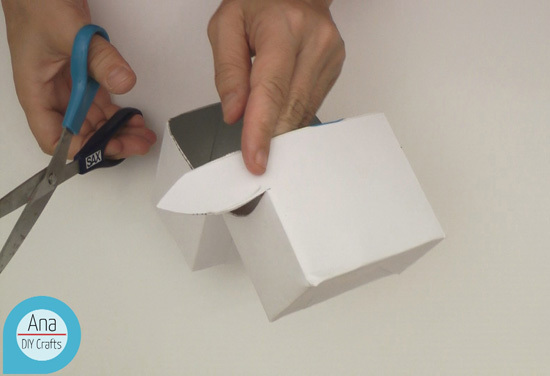 1 – wrap the tetra pak with paper and mark the center in front and both sides. 2 – cut with cutter. 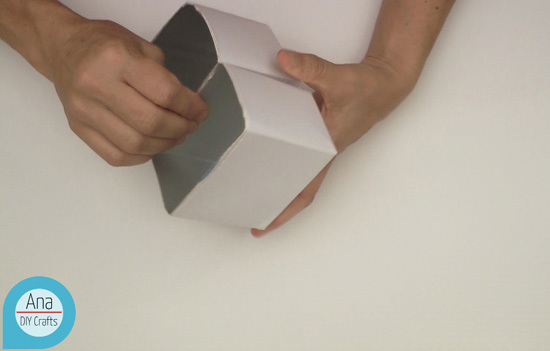 3 – fold the box in half. 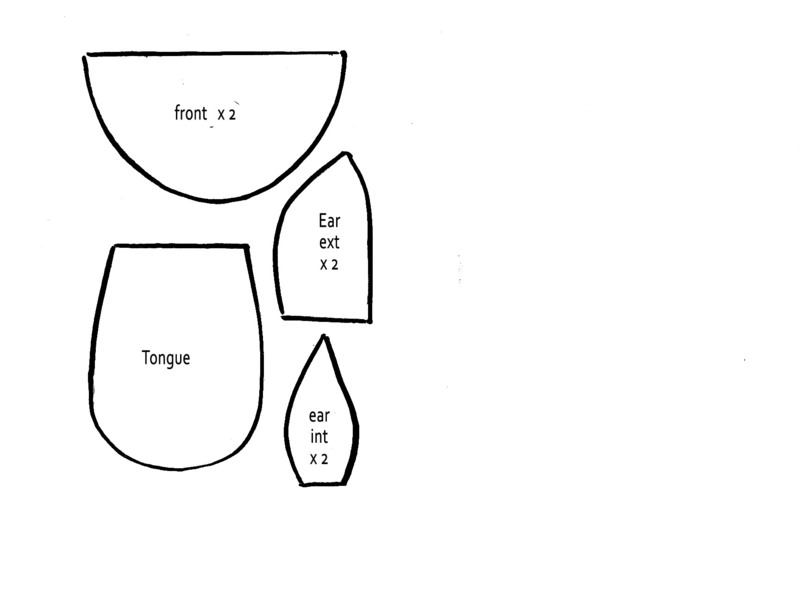 4 – draw the ears on both sides and cut. 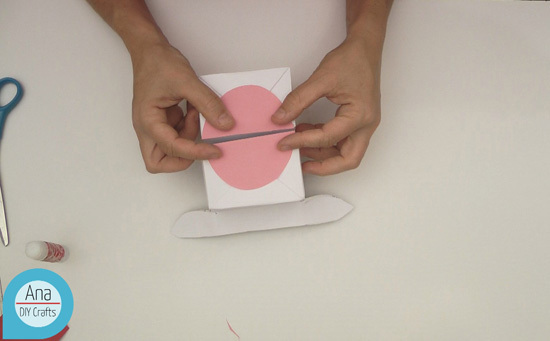 5 – cut two semicircles and glue. 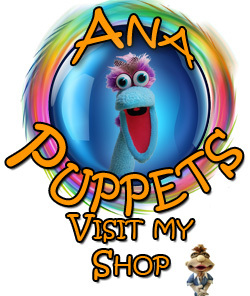 6 – add two stickers (nose) and glue the eyes. 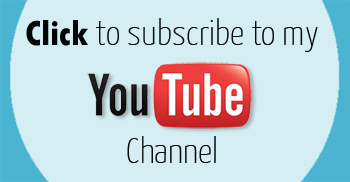 7 – cut and glue the cow horns. 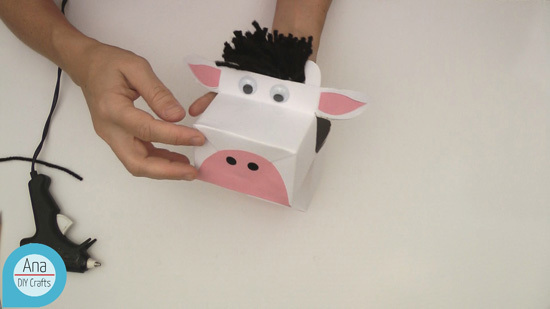 8 – wrap wool around three fingers , tie , cut the fringes and glue them inside the box with hot silicone glue. 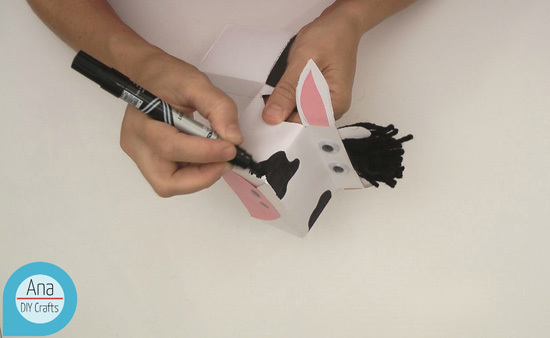 9 – draw the cow spots and cut the tongue in foam crafts.